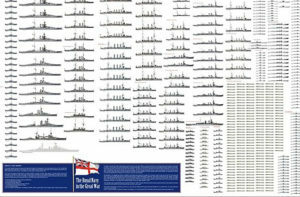 Built in the emergency plan of 1909 (due to public pressure “we want eight and we won’t wait” the programme was raised to six dreadnoughts and two battlecruisers), these four battleships innovated by their main artillery, with a 343 mm caliber (13.5 in) instead of 305 (12 in). 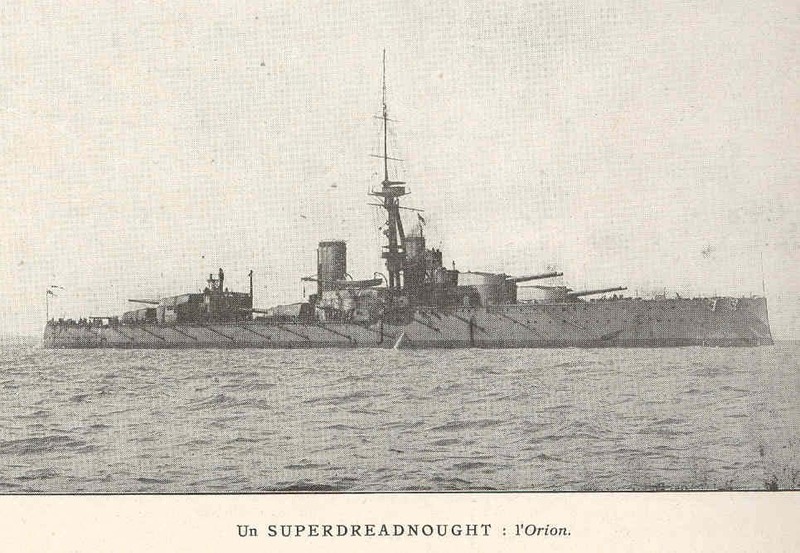 The house of commons was very satisfied on many points: This Orion class outclassed the German caliber by quite a margin both in hitting power and range, while retaining and arrangement in line, for a full broadside, and were much larger than previous battleships. With the four Orion, the Home Fleet once again took the initiative of the game. 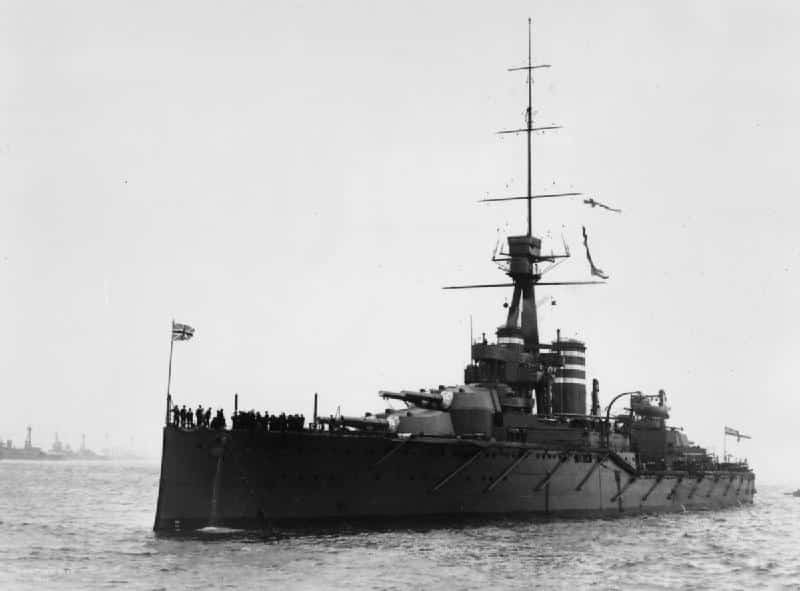 The class included the HMS Orion, Monarch, Conqueror and Thunderer (started in March 1910, launched in 1911, August 1910 for Orion) completed in 1912 (January for the Orion, November for the Conqueror). They had a short but active career. 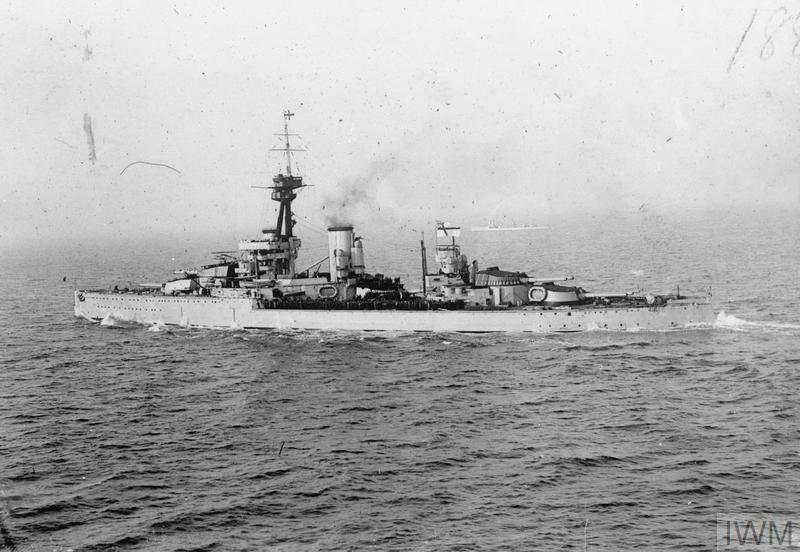 Their turrets were arranged in a centerline and in superfiring gun turrets, a first for a British battleship. These guns were the new breech-loading (BL) 13.5-inch Mark V gun, essentially rebored 12 in 45-calibre pieces that had a 300 feet per second (91 m/s) less muzzle velocity, significantly reducing the wear and tear of the barrel. But the paradox was their rounds retained much of the velocity by their masses and therefore turned to have a 2,500 yards (2,286 m) greater range at +20° elevation, only limited by their restricted gunsights (his was corrected with super-elevating prisms installed in 1916). Fire rate was two rounds per minute, with about 80 to 100 shells in store per gun. The next sixteen 50-calibre BL four-inch (102 mm) Mark VII were arranged in exposed shelter deck and superstructure, unshielded. They had a 11,400 yd (10,424 m) range, fired at 2,821 ft/s (860 m/s) muzzle velocity, +15° elevation, and had 150 rounds in store. 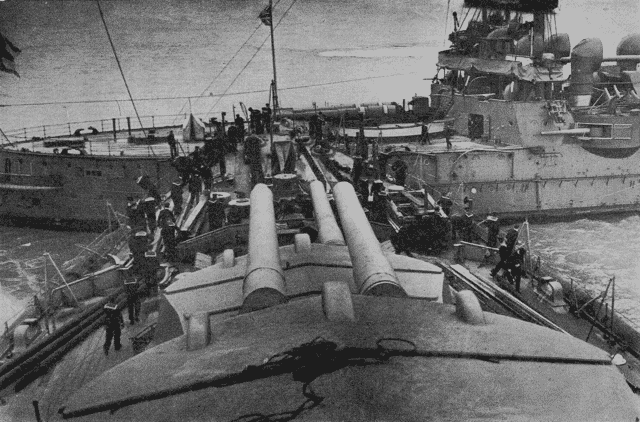 The small 3-pdr were 1.9 in (47 mm) saluting guns. 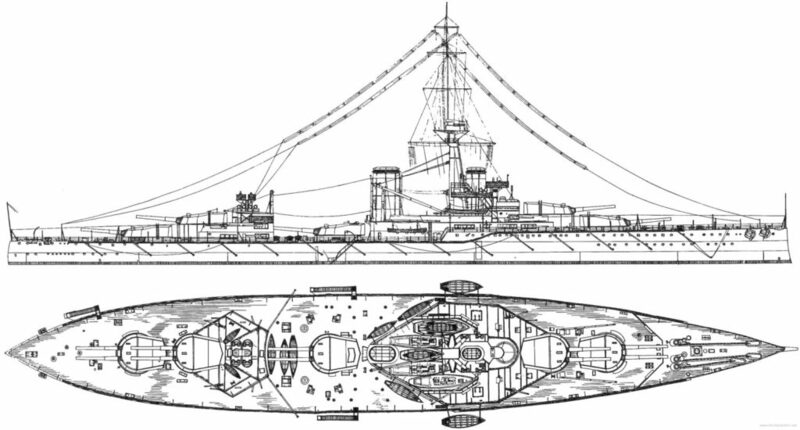 The 21-inch torpedo tubes were submerged, placed in each broadside and stern, with 20 more torpedoes in store. The installation of their tripod mast was one of their most important innovation: They were all equipped with a new type of fire control and direction, located behind the front chimney. This was justified to avoid smoke disturbance and by relocating the cranes lifting the lifeboats. Similarly, the superstructures around the front chimney were modified shortly before the war. 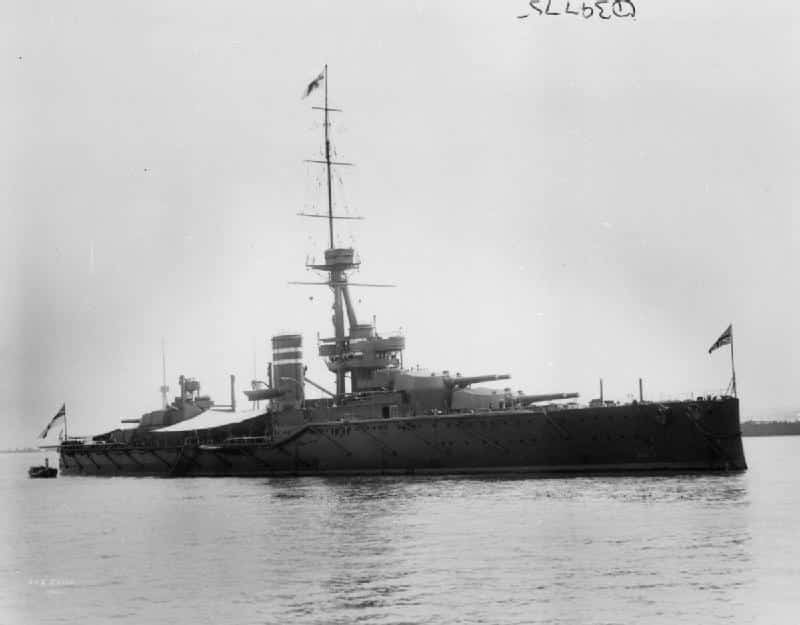 That took time however, pushed by Board of Admiralty and architects while two major members of the Admiralty, the Director of Naval Ordnance arguing for roof-mounted sights and Jellicoe being obsessed by boat-handling arrangements. At last their views were overcome and the Orion would get the best fire direction so far, unhampered by hot funnel gases. The data obtained by Barr and Stroud coincidence rangefinders was electrically transmitted to a Dumaresq mechanical computer, and then to Vickers range clocks located in the transmitting stations for and aft and translated into range and deflection data. 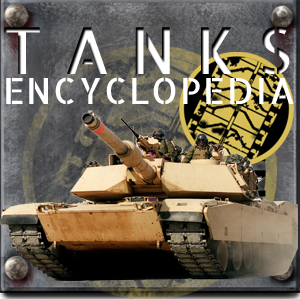 The hull received a waterline belt of Krupp cemented armour, with a thickness concentration on the armoured citadel, decreased at 6–2.5 inches outside. There were 6-inch (152 mm) bulkheads, and a total of four armoured decks from 1 to 4 inches (25 to 102 mm) thick. Submarine protection could not be enhanced by the addition of lateral ballasts (if not further subdivided below the waterline), in order to preserve the metacentric height of the building with unchanged speed. The lest innovative of their design were the three engine-room layout inherited from the Colossus-class design. The outer propeller shafts were coupled to the high-pressure turbines while the two inner shafts were served by resulting low-pressure steam. 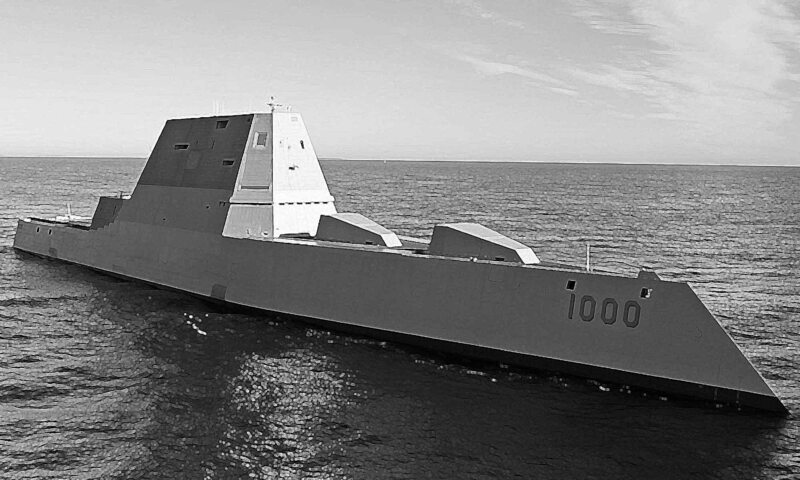 Their turbines were fed by water-tube boilers, providing 21,000 hp for a 21 knots top speed as designed. However, they all exceeded these figures on trials. 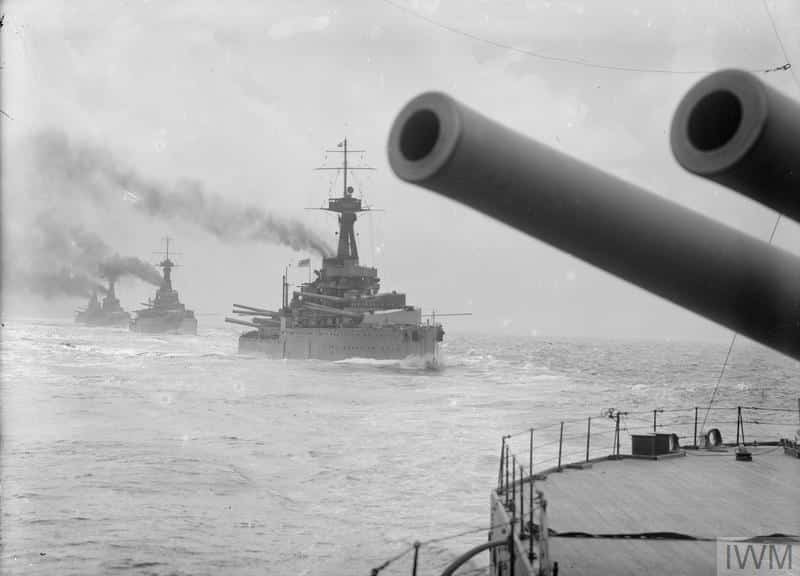 These four vessels were part of the Great Fleet, more precisely within the 2nd line squadron, or the 2nd Battle Squadron (BS) and fought in Jutland in May 1916 without loss, but some suffered collisions before the war. 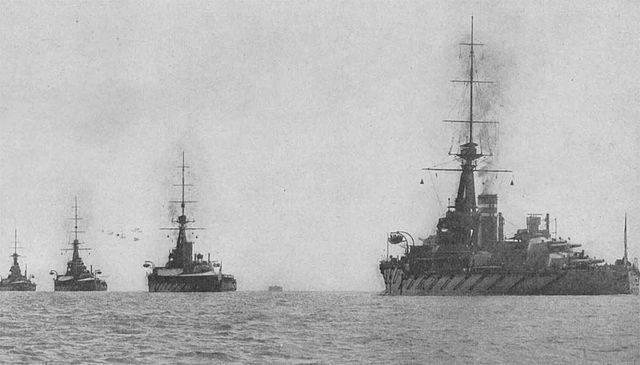 Prewar, they participated in the Parliamentary Naval Review on 9 July at Spithead, participated in training manoeuvres with Vice-Admiral Prince Louis of Battenberg, and greeted President of France, Raymond Poincaré, at Spithead on 24 June 1913. At the time of the July crisis they participated in a test mobilization. 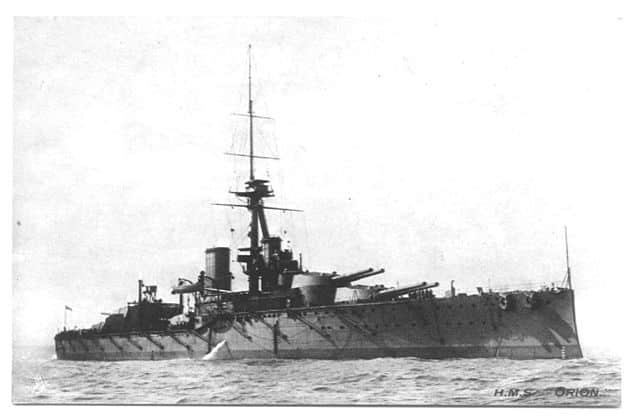 In late 1914 the ships received nine-foot rangefinders, and the computer and range clocks were replaced by Mark II or III Dreyer Fire-control Tables. 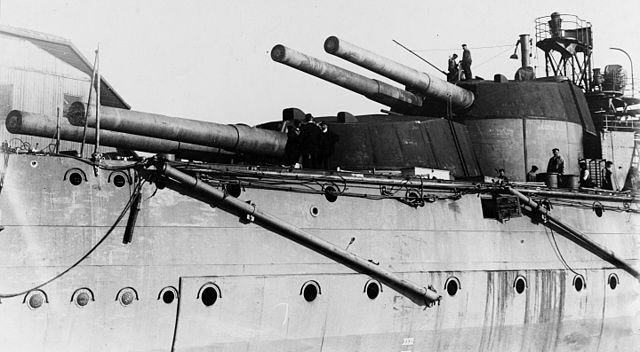 Shelter-deck guns were enclosed in casemates, a pair of QF 3-inch (76 mm) anti-aircraft (AA) guns were installed and additional armour fitted after the battle of Jutland. 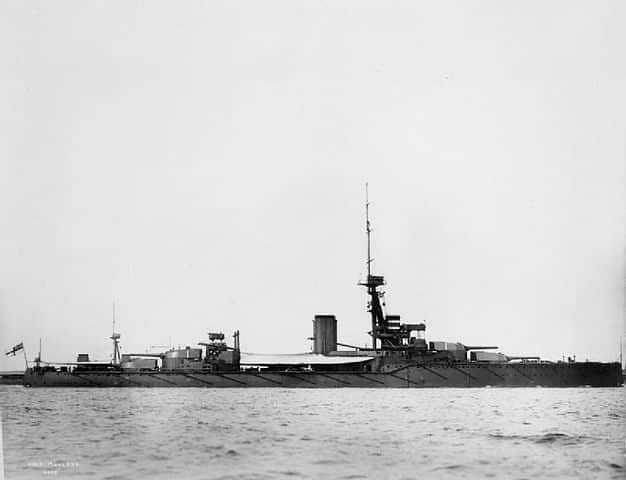 They were cleared of their anti-torpedo nets in 1915 and their masts were reduced, and after Jutland they saw their ammunition tanks reinforced and airplane platforms fitted on their turrets. In 1917 4-inch AA gun were exchanged for one of the 3-inch guns. 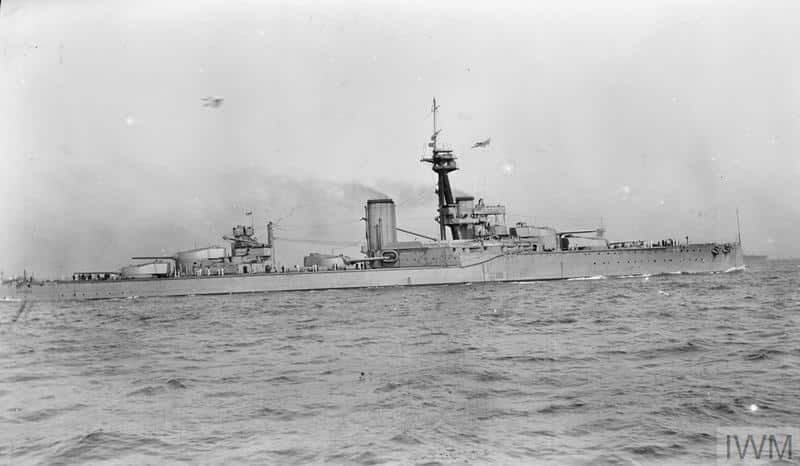 HMS Orion was the flagship of Cdr Leveson during the Battle of Jutland. All four were disarmed in 1922-25 because of the Washington Treaty, the HMS Thunderer becoming a training ship until 1926. As the German admiralty projected a raid on these cities led by Rear-Admiral Franz von Hipper, British Intelligence decoded the message and allowed the fleet to prepare. 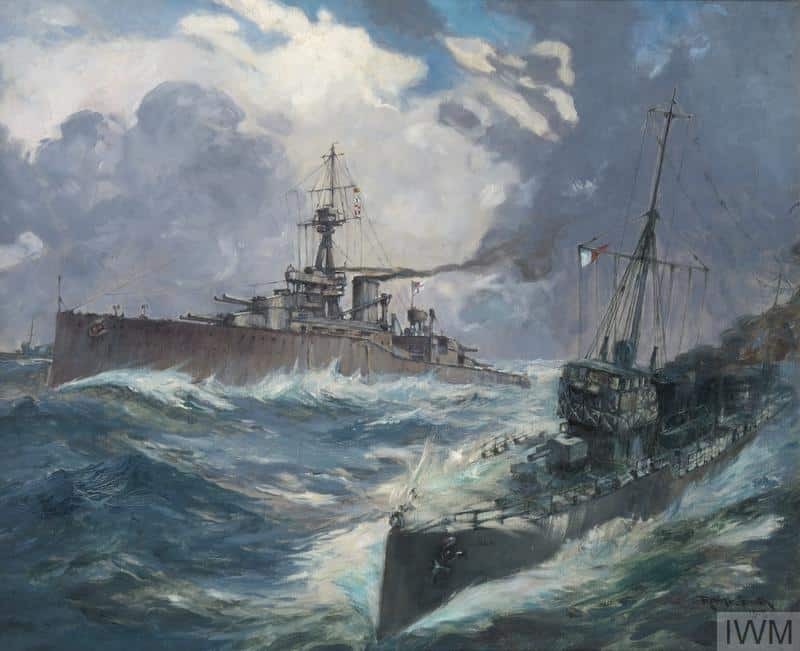 The three orion were mobilized but during the night heavy weather of 16 December, only destroyers met, Hipper retiring before the big battleships could met. 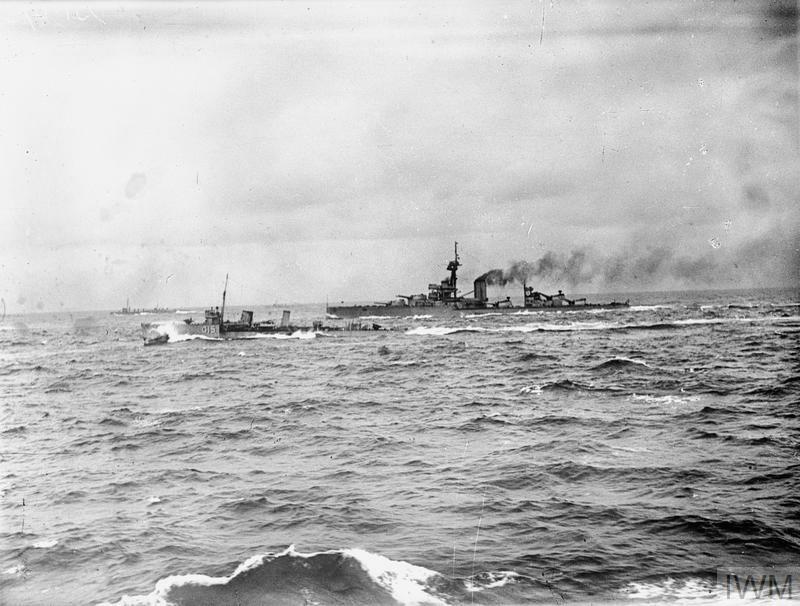 Jellicoe was to met the 2nd BS, coming from Cromarty, Scotland, mustering his force morning of 31 May, and the Orion class were organized into a single four battleship column, with the two divisions of the 2nd BS to his eastern flank. 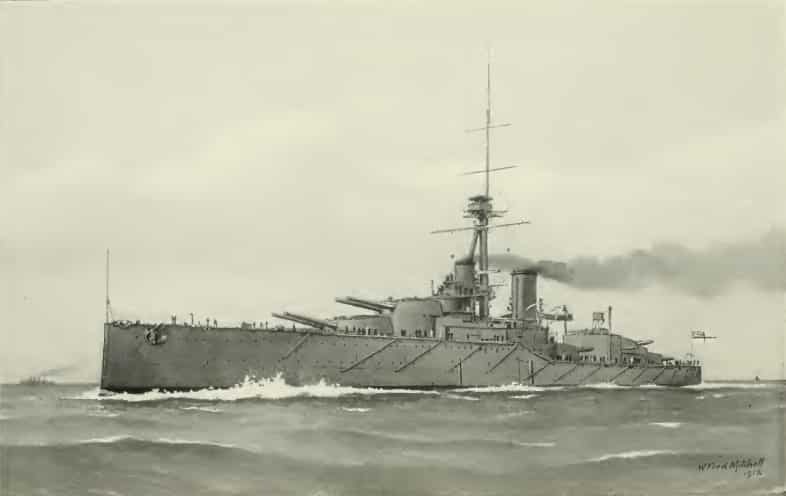 Conqueror and Thunderer fired at the SMS Wiesbaden without results, and did also against German battleships. 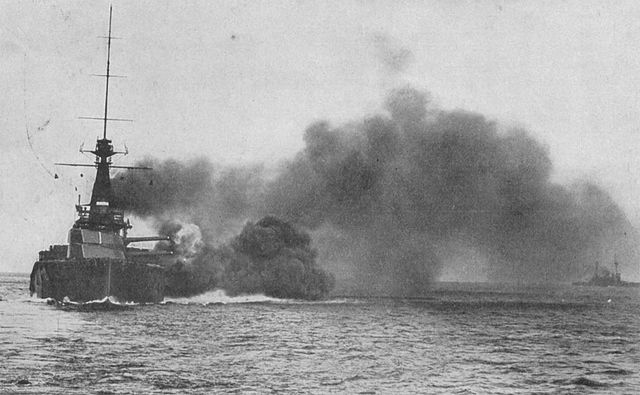 Monarch and Orion did some hits on the SMS König and SMS Markgraf, more seriously damaging SMS Lützow (five hits). The rest of their wartime career was linked to a possible German raid, which never happened. 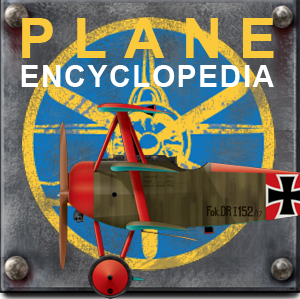 Their last sortie occurred in the afternoon of 23 April 1918. They were present at Rosyth, Scotland when the Hochseeflotte surrendered on 21 November 118. After the war in 1920 they were transferred to the Reserve Fleet at Portland. Two were briefly recommissioned to carry troops into the Mediterranean and back. Thunderer became a training ship for naval cadets in 1921, and Orion a gunnery training ship. 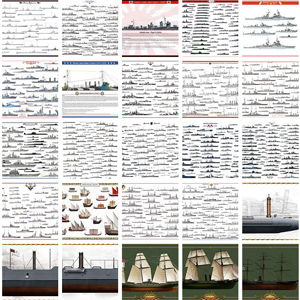 As the result of Washington Naval Treaty limitation all four had to be sold for scrap in 1922.